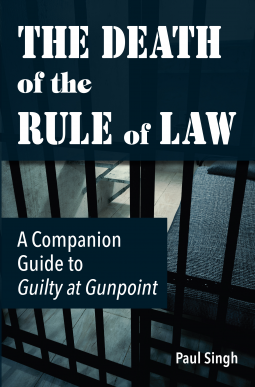 A Companion to Guilty at Gunpoint, The Death of the Rule of Law is a case study for law students interested in pursuing Criminal Law. It provides a candid look at what future lawyers will be facing in the real world of criminal justice. This is a must read for those who want to learn about what goes on behind the scenes, those interested in the point of view on the part of the defendant, and anyone wearing rose-colored glasses when it comes to the criminal justice system in the United States. The author provides exhibits with irrefutable evidence to prove his claims and cites various laws and books by top-level insiders to show how laws were broken by corrupt prosecutors whose only objective was to further their careers. Paul Singh is an American scientist, mathematician, historian, philosopher, physician and a professor of urogynecology. He is the author of several critically acclaimed books in the areas of science, philosophy, religion, history, politics and medicine. Tiefe, erschreckende Einblicke in das verstörende Rechtssystem. Wenn man nicht wüßte das es ein Tatsachenbericht ist, würde es einem nervenaufreibender Thriller gleichkommen.